Cartagena is a gorgeous port city in Colombia. With over 970 000 residents, it is famed for its colourful colonial buildings and the magnificent coastal walled Old Town. Today, Cartagena is a popular beach destination, with thrilling activities, shops, and restaurants. The destination’s top attractions include Rosario Islands, Castillo San Felipe de Barajas, and Plaza Santo Domingo. Prepare yourself for an amazing travelling experience to Colombia, because cheap flights to Cartagena are now available for a limited time! Cartagena is the home of Rafael Núñez International Airport (CTG), which is a 30-minute drive from the city centre. Cartagena’s rich history is a definite drawcard. Take a tour through this city’s UNESCO World Heritage Site, which includes the magnificent colonial walls and fortress. Cartagena sits along the Caribbean Sea, meaning gorgeous beaches. Soak up the sun and enjoy refreshing splashes at these selection of locations, including Isla de Barú and Playa Castillo Grande. 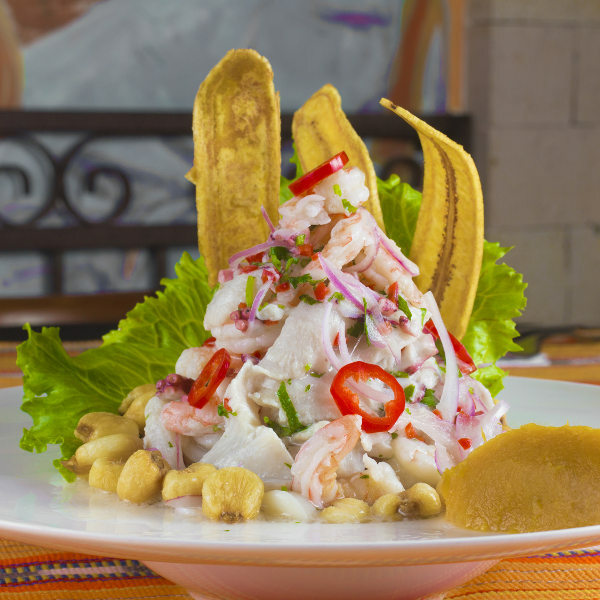 With the city’s access to fresh seafood, meat, and traditional Colombian ingredients like coconut rice and crispy plantains, satisfy yourself with local specialties, such as ceviche and Ajiaco. Cartagena experiences hot days (around the low 30s), warm nights (ranging around the mid-20s) and rainy weather throughout the year. Avoid the crowds, rainy weather and steep accommodation prices by visiting this Colombian city from mid-January to April (mid-summer to mid-autumn). This is the dry season, and with the peak tourist season over, you can enjoy cheaper hotel rates. Watch out for the Holy Week though, which falls in either March or April, since this is when the crowds visit Cartagena. You can get the lowest accommodation prices during off season (May – mid-June and August to November), however, this is when the rains begin, and October and November are the wettest months. 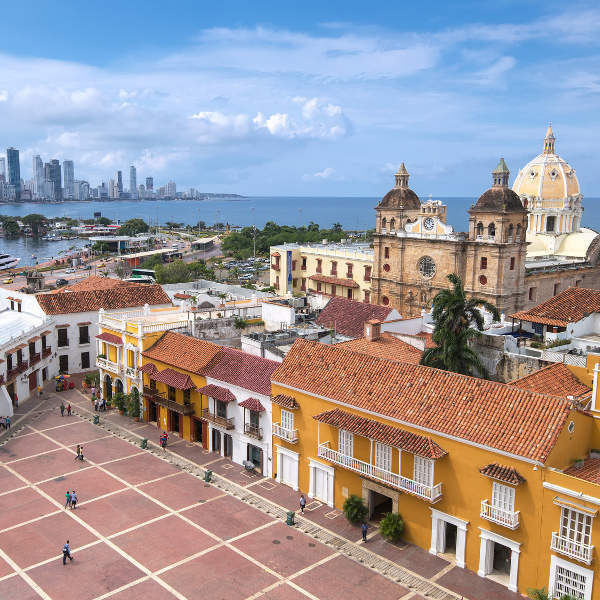 The beautiful Colombian city of Cartagena is the type of destination you should be considering for your next international holiday experience. One of TripAdvisor’s ‘Destinations on the Rise’ in 2013, it is an enthralling location, with a range of sights, aromas, sounds and experiences. Explore Cartagena’s historic attractions, which include the colonial walled city and fortress, which were awarded the status of a UNESCO World Heritage Site. Discover the gorgeous harbour and waterfront area, as well as Plaza de San Diego. 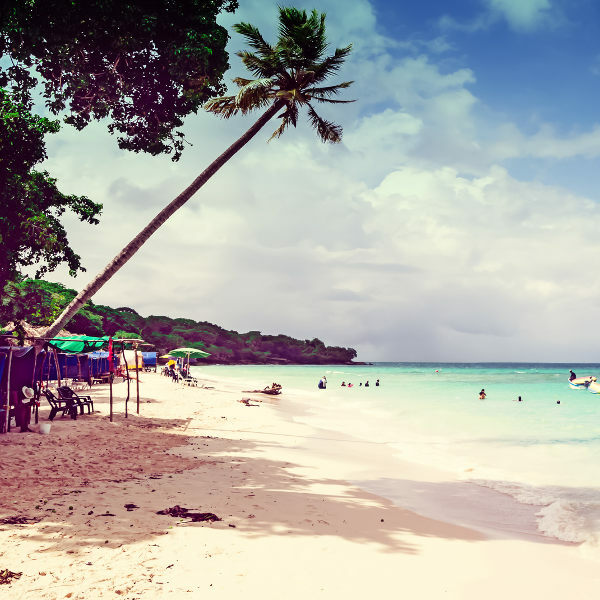 Treat yourself to scuba diving and snorkelling opportunities at Isla Mucura, or shop at malls such as Caribe Plaza, or the enticing markets like Mercado Bazurto. When it’s time to relax, enjoy a Caribbean cocktail and sit back at one of the numerous cafés, like Mila Vargas and Beiyu. Compare several airlines, and book your cheap flights to Cartagena online at Travelstart. Beware of street vendors in Cartagena, who have a reputation for stealing money when giving change. Practice basic common sense, by keeping your valuables in a safe place and out of sight, refraining from showing large amounts of money when outside, and never walking outside after dark. Visit your doctor to get all the routine vaccinations four to six weeks before you depart for Cartagena. Additionally, depending on where you go and what you do in the city, you may also need vaccinations and prescription medicines for hepatitis A, hepatitis B, typhoid, malaria, yellow fever and rabies.